Located near the intersection of SE Jennings Rd and SE Lennard Rd, Extra Space Storage serves residents near Port St Lucie, Jensen Beach, Ocean Breeze, River Park, and more. Locals will recognize our facility next to Port St Lucie RV Resort. Extra Space Storage on SE Jennings Rd offers a variety of storage units, exceptional security, climate-controlled storage, and vehicle storage. We're your go-to self storage partner in Port St Lucie! With storage units as small as 4x4 and as large as 15x10, our SE Jennings Rd storage facility can handle items of all sizes. We also have units with indoor access and first-floor access for your convenience. Store valuable items with peace of mind at Extra Space Storage. We've equipped our Port St Lucie storage facility with advanced security features like an on-site resident manager, 24-hour video surveillance, and electronic gate access to ensure your belongings are well-protected. By maintaining internal temperatures between 55 and 80 degrees year-round, climate-controlled units protect your temperature-sensitive belongings from extreme heat and humidity in Port St Lucie. Need to store a car, motorcycle, boat, or RV in Port St Lucie? Extra Space Storage on SE Jennings Rd has large outdoor parking spaces available to handle vehicles of all sizes. Extra Space Storage truly cares about providing each and every customer with an incredible self storage experience. From our clean, well-maintained, secure facility to our friendly, professional staff, we go above and beyond to ensure you get a dependable storage solution. 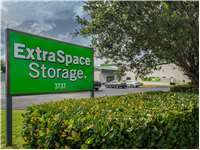 Contact us today to reserve a storage unit in Port St Lucie! Drive south on US-1 S. Turn left onto SE Jennings Rd. Our facility will be on your right just after Port St Lucie RV Resort. Drive north on US-1 N. Turn right onto SE Jennings Rd. Our facility will be on your right just after Port St Lucie RV Resort. Drive west on SE Walton Rd. Turn left onto SE Lennard Rd. Turn right onto Cane Slough Rd. Turn right onto US-1 N. Turn right onto SE Jennings Rd. Our facility will be on your right just after Port St Lucie RV Resort. Drive east on SE Port St. Lucie Blvd. Turn left onto US-1 N. Turn right onto SE Jennings Rd. Our facility will be on your right just after Port St Lucie RV Resort.